I might have missed the memo and be a few days late but better late than never to the party am I right? This month I got back into the Cara Box exchange after taking off a few months for wedding planning craziness to take over my life. And I loved this month's theme! But first, let me give you some background on the Cara Box exchange straight from the genious creator, Kaitlyn over at Wifessionals herself. Nowadays, everyone uses email and texts to communicate. But remember a day, way back when, when you would actually get cards and presents in the mail? Fun fact: I love mail. When I was in elementary school I was paired up with different pen pals around the world. I used to love getting to learn about another child's life and culture - and I REALLY loved getting gifts and awesome things from them and their country. I have absolutely adored meeting tons of new women since the start of Wifessionals. I especially appreciate the kind emails and words of encouragement that we share with each other on a day to day basis. 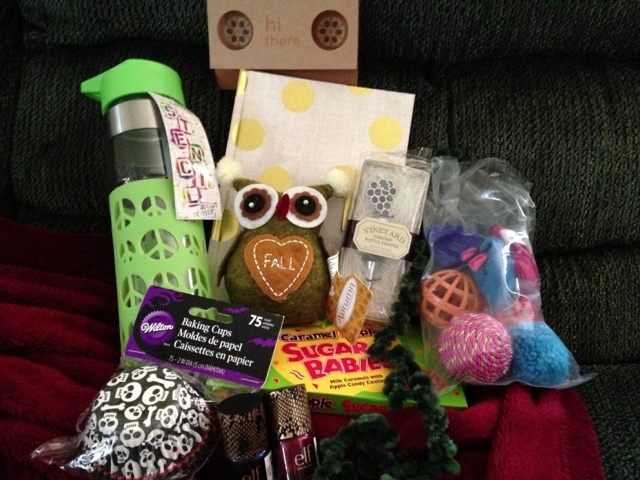 Awesome things in the mail + Meeting new women + Encouragement = Cara Box! So there you have it. It is an awesome exchange that allows you to connect with other bloggers and I have met the sweetest ladies through this. And every month has a different theme. This month's was lifestyle. Fall decoration because you can never have enough! I am lucky or what?! And the cherry on top, I was able to meet the sweetest Casey from Aslan's Auspicious Albany Adventure. She is a newbie to the Northeast this Fall so I decided to send her some sweet treats for the fall. You HAVE to see what I sent here, it was pretty great! I am so glad I rejoined the cara box this month and got to know two wonderful ladies! Sign ups start today for the fall cara box! This was my first time doing Cara box and I'm such a huge fan! It really is an amazing concept. You look like you got an awesome box! I love the owl. So cute. And the nail polishes are so pretty. Really, I wouldn't have minded receiving everything in your box. Haha. I'm glad you had such an awesome experience too! It is such a great thing, I love doing it! So glad you started to participate!